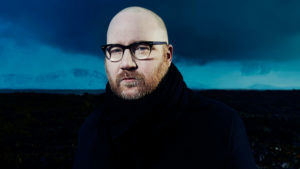 Icelandic composer Jóhann Jóhannsson passed away last week on February 9, 2018. Currently, the cause of death is unknown. What we do know are his fantastic scores. His music was not easy to get into, but it was very innovative and it will be greatly missed. Music under his belt is, for example, Theory of Everything (for which he received an Oscar nomination and won a Golden Globe), Sicario (his second Oscar nomination) and Arrival. The scores for The Mercy has just been released and Mary Magdalene and Mandy are already written. Personally, I only experienced him live during a concert at the Krakow Film Music Festival in Poland where his music was fantastically played. Below is a snippet from that concert.